The way to go. 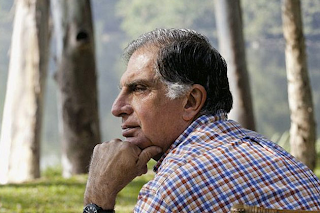 India head quartered Tata Group's (globally better known as owners of iconic Jaguar Land Rover) outgoing Chairperson Ratan Tata has audacious philanthropic retirement plans. This despite the existing track record as below. In 2010 alone, the Tata trusts disbursed Rs 500 crore ($80 million at current exchange rates) to various causes and institutions. In dollar terms, this number would have been higher if the rupee hadn't devalued as much since then. The Rockefeller Foundation, one of the most generous in the world now, disburses $180 million each year. Experts say the Tata trusts are easily among the 10 most generous in the world.